It was when I was working in a Jute Mill in Kolkata, that I first noticed a problem with my eyes. Gradually, I found I could no longer do my work well enough and my manager fired me. I went to see a doctor who told me I had an immature cataract, but unable to afford any surgery, I couldn’t do anything about it. 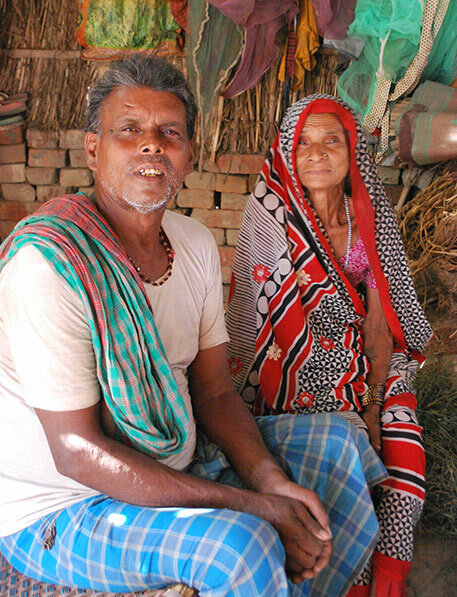 Unemployed and struggling to see, I walked the 700km journey home to Ballia. With no work, I’ve had to rely on my wife a lot; we have a couple of goats and my son sends money when he can. That was 10 years ago. In all that time I have never seen an opportunity like this to get free eye surgery. I first heard about the hospital through an eye camp which was near my house. The optometrists explained I had cataracts that needed surgery and three weeks later, I had the operation. It was straight forward and went well. I stayed in the hospital for one night and have been back for follow up once. It’s amazing the difference it has made. Before, I was often falling and tripping on the uneven road as I couldn’t see it properly, but as soon as the bandages came off, I felt more relaxed. Now I feel, confident and safer. I tell my friends they must get their eyes tested, some of them don’t believe me about the eye camps so I share my experience. I’m so grateful for the surgery – now I can return to school and continue with my studies. Also, I want to join a choir, I love singing too! I’m 17, at college, currently studying and my favourite subject is maths. When I grow up I want to be a doctor, but for a while, I thought that might not happen. One day at school I accidentally got hit in the eye by a cane. It was so painful. I couldn’t see. I went to a nearby hospital for treatment but they couldn’t help me so they directed me here, 152km from my home. When I tried to read my school books, I couldn’t see the writing, I had to keep the book really close to my eyes. Even when I went outside, it was too bright to see properly so I couldn’t really do that either. 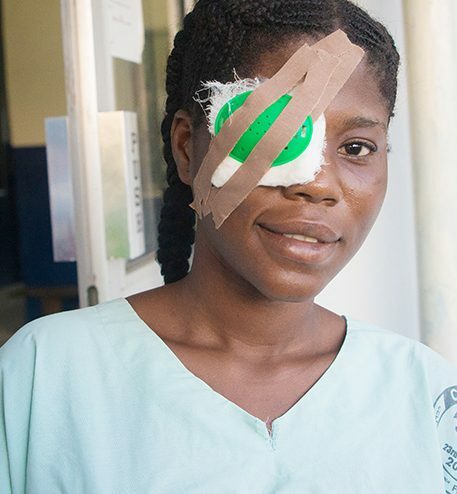 I’m so grateful for the surgery – now I can return to school and continue with my studies. Also, I want to join a choir, I love singing too! 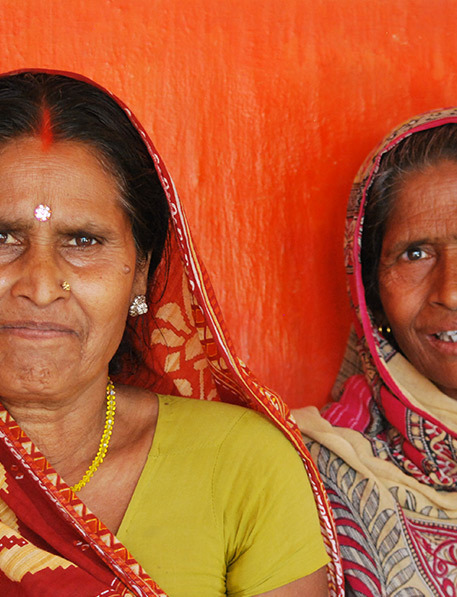 We met Suki, Jenna and Dharven at an outreach eye camp in Ballia. These camps are organised by volunteers who expertly coordinate the hundreds of local villagers that turn up for free eye tests and screenings with optometrists. The ladies explained how they were all from the same village and had travelled together for their post cataract operation follow up. “We came together today in the same rickshaw. We haven’t brought any family with us because we can support each other.” They went on to discuss their experience of what it was like before their operations. Jenna explains “I wasn’t seeing clearly at all; I couldn’t see anything in either eye. I have 4 children and 8 grandchildren and I was struggling to look after them. One month ago I had the first eye operated on and since then I have clear vision. Now I walk around my house without bumping into things”. Dharven added, “The experience at AJEH hospital was as it should be, I only wish we had one closer! I was delighted with my operation, at first moving from dark to daylight felt a bit odd but apart from that, everything is fine. Now I can work again in my shop, selling rice and small goods”.